The self-described cannabis advocate says he started cooking with hemp oil about five years ago and was initially dismayed by the results. He began tinkering with ways to reduce the intensity of the flavour and is confident enough in the results that he recently launched Azuca, a company that sells cannabis-infused sweeteners. With recreational marijuana now legal in 10 states and in Canada, though still banned under US federal law, a host of companies including the world’s biggest brewers are vying for a piece of a budding market for cannabis drinks. Some are experimenting with products that produce a high, others with beverages that stop short. 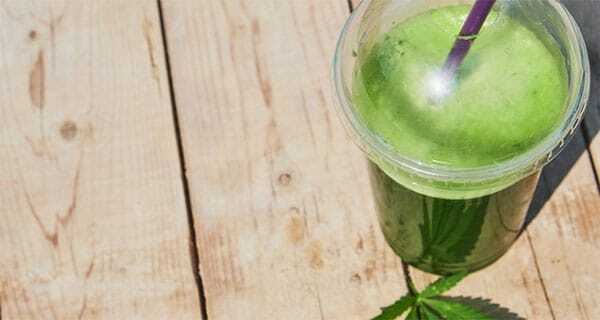 It turns out the oily cannabis extracts don’t mix with water, so getting the proper blend with each sip requires frequent shaking. And because of the way the body processes the compounds, it takes too long for the drinker to feel the effects. Then there’s the taste, which has been compared to dish soap and urine. In their natural form, cannabis compounds known as cannabinoids are oils that separate from water-based liquids. They include the high-inducing compound known as tetrahydrocannabinol, or THC, and the non-intoxicating one known as cannabidiol, or CBD, which has been touted as a treatment for afflictions including muscle pain, nicotine addiction and insomnia. Ontario-based marijuana grower Canopy Growth set out four years ago to make a clear, mildly intoxicating, no-calorie beverage that would take about 12 minutes to affect the body — roughly the same as a glass of wine, said the company’s chairman and co-CEO, Bruce Linton. When Canopy’s researchers looked at products already on the market, they discovered many were far from ideal. 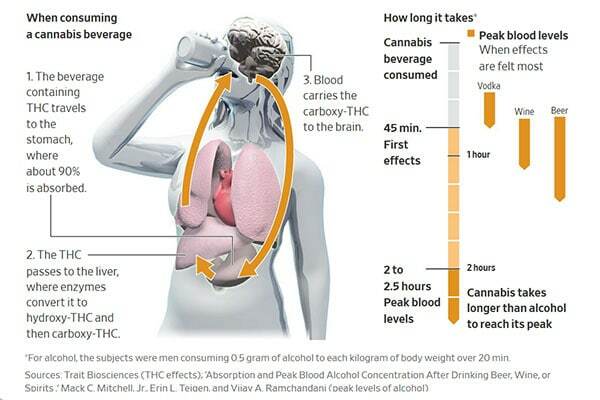 Many drinks contained 10 milligrams or more of THC — double the maximum dose Canopy wanted to use. Also, the drinks took half an hour or more to take effect, came in unappetising colours such as bright green and were too sugary, said Linton. “The people with the most money want the least calories,” he added. To address the various shortcomings, Canopy and others have focused on solving a familiar chemistry problem: how to mix oil and water. Trait Biosciences, a Vancouver-based company, has developed a way to mix cannabis compounds into beverages so they don’t separate. Alkaline Water of Scottsdale, Ariz, adopted a soaking and straining technique that separates water-soluble CBD compounds from the plant. Alkaline CEO Ricky Wright said the technique tones down the bitterness. Others are using a “nano-emulsion” process that breaks the CBD and THC compounds into tiny particles, then mixes them in water-based liquids using other chemicals known as surfactants…..